It’s no secret that medical errors hurt and kill a significant number of people each year. But what about all of the people this affects who may not even know it? Unfortunately, this is a significant issue when it comes to patients who suffer from particular medical issues, but who are often misdiagnosed with depression instead. Reported symptoms that can lead to a misdiagnosis like this can include changes in appetite, fatigue, trouble concentrating, unexplained pain, feelings of anger or sadness, sleep problems, and related issues. Bipolar disorder is a serious condition characterized by severe changes in mood from mania to depression. However, if a doctor doesn’t witness the “manic” side, it is easy to misdiagnose the condition as depression instead. Complaints of chronic pain can sometimes be linked to complex issues such as regional pain syndrome or severe headaches and injuries. However, when doctors can’t find a cause, sometimes patients are told that the pain is simply due to depression or stress. EDS is a genetic condition often characterized by fragile skin, joint hypermobility, pain, and dental and eye issues. Many doctors are completely unaware that the condition even exists, leading to a frequent misdiagnosis of depression instead. People who suffer from fibromyalgia often suffer from foggy brain, fatigue, and widespread body pain. There is also no definitive diagnosis test – even today – so doctors do sometimes interpret the symptoms as indicative of depression. Statistically speaking, more women than men suffer from the condition. Rheumatoid arthritis is characterized by fatigue, inflammation, and swelling, as the body’s immune system attacks the tissue in its joints. Symptoms can include depression, exhaustion, and/or stress, and the condition most commonly affects women between ages 30 and 60. Hypoglycemia occurs when one’s blood sugar level is too low and is common in people suffering from diabetes. Symptoms include sweating, an inability to concentrate, headaches, and dizziness. Symptoms of ME/CFS include poor sleep, foggy brain, painful muscles, and post-exertional malaise. There is no diagnostic test for it and some in the medical profession still do not believe that it exists. Migraines can be characterized as severe headaches—sometimes accompanied by dizziness and nausea—due to sensitivity to light and sound. If your migraines do not appear to have a specific “trigger,” they can sometimes be mistaken as depression by a health professional. Not everyone who has Lyme disease tests positive for it, which can sometimes lead a health professional to provide a diagnosis of depression instead. Hypothyroidism is characterized by an underactive thyroid that does not produce enough thyroid hormone, which can lead to brain fog, dry skin, fatigue, feeling cold, and sometimes depression as well. ADHD can be misdiagnosed with depression because some of the overlapping symptoms can include difficulty concentrating, fatigue, forgetfulness, and low motivation. 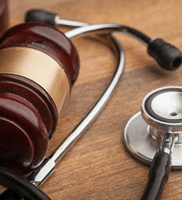 If you have been injured by a misdiagnosis, contact our Florida medical negligence attorneys at Friedland & Associates today to find out how we can help.